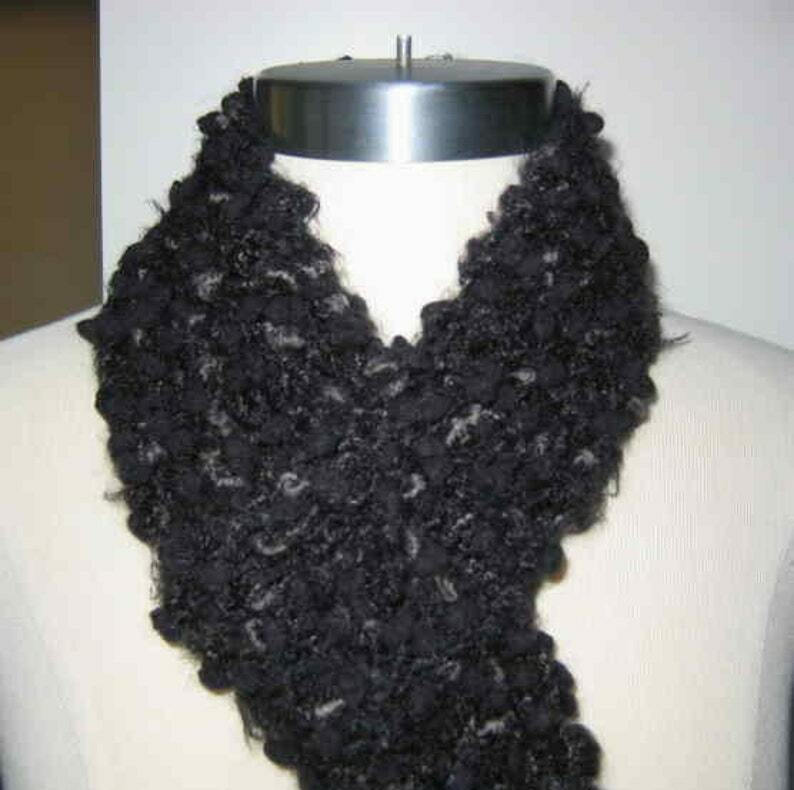 This scarf was knit using a combination of yarns - one a whisper soft black with tiny charcoal grey nubs and another in solid black with chunky nuggets. The overall effect is super soft but very textural. A very gender neutral scarf - perfect for a man or woman. Yarn is acrylic blend with wool.